This is the table setting I used for a party I hosted earlier in November. Although not intended for a Holiday tabletop, I think it would work very well. 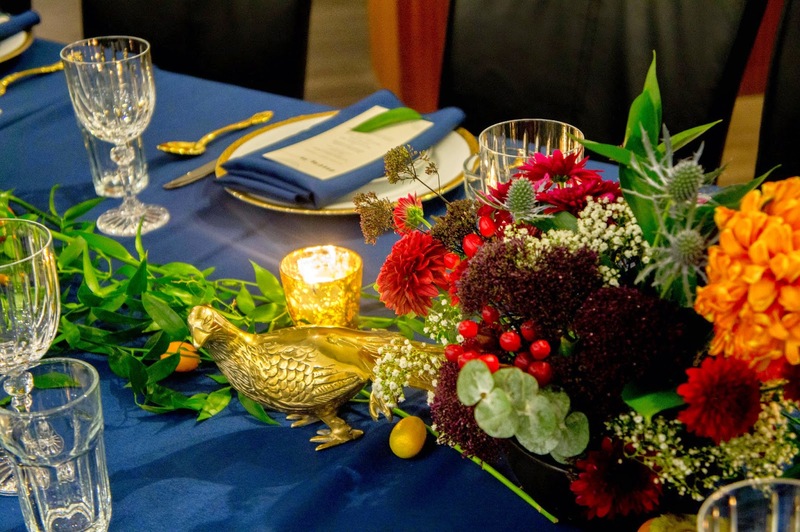 The leaves running down the center of the table and the individual leaves on the menus could always be replaced with some fir branches or pinecones for a very similar festive, wintery effect. I wanted the setting to look special and fancy without being too formal. This is why I settled on the navy linens instead of black; I thought black would look too stuffy. 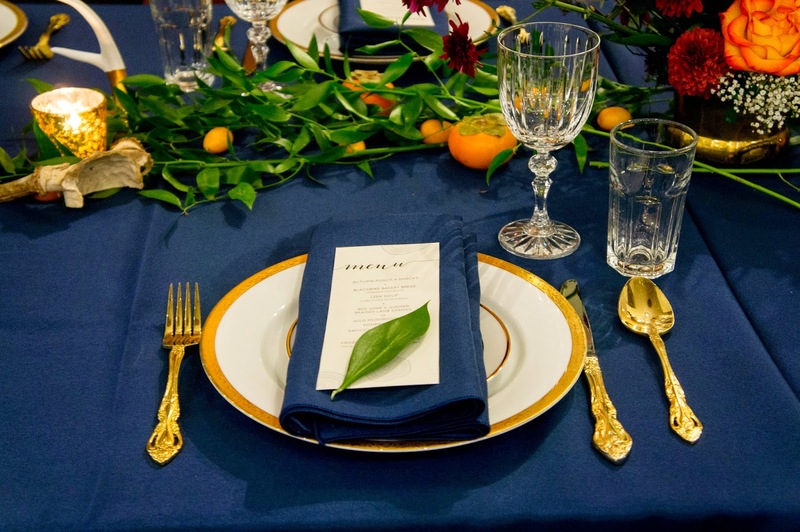 The gold touches in the flatware and china add the feeling of a special occasion. I also wanted the setting to look organic and plentiful which is where the woodsy and fruit accents came in. Dark berries overflowing cups and seasonal citrus interspersed among the greenery give a generous impression. I just love this golden bird I found at an antique market. Along with the antlers, it adds to the outdoorsy, organic feel. 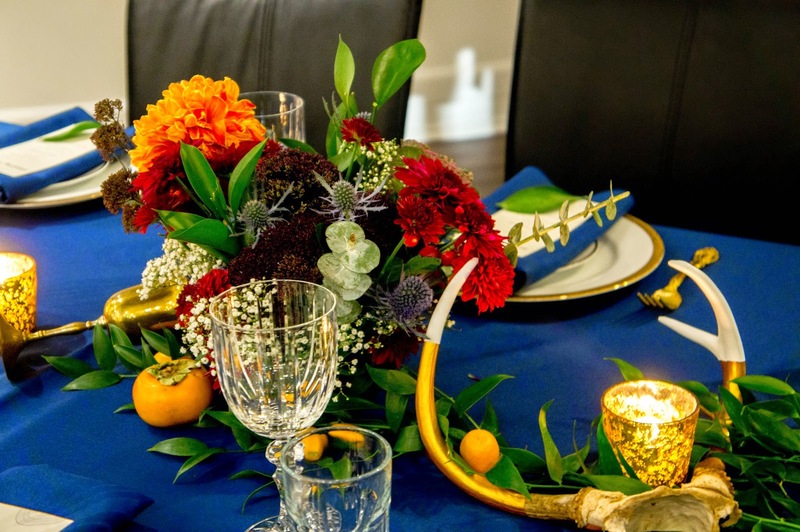 For the rest of the table, I was inspired by this colour palette from the Sweetest Occasion. I have never been more inspired by colour as when I look at her posts. 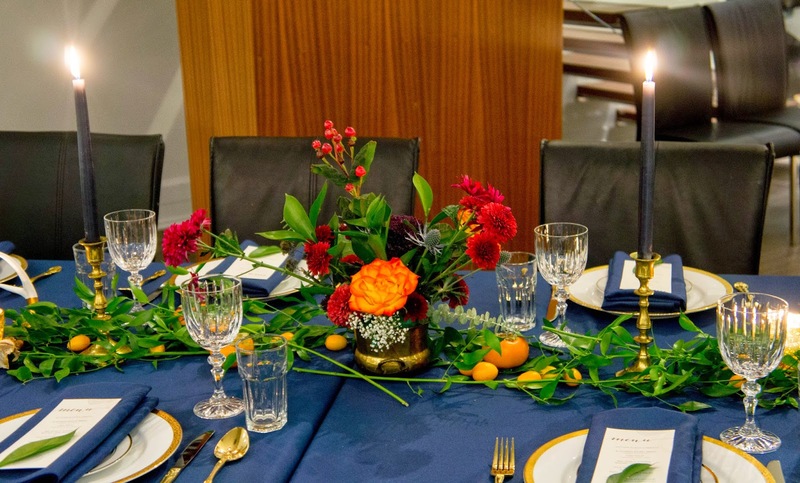 To complement the navy linens, I wanted dark red flowers with orange and light purple accents. I chose to do my flower arrangements in low, wide vessels to try and fill up more of the table and not block anyone’s view. A couple of tall black taper candles as well as some votives complete the lighting. 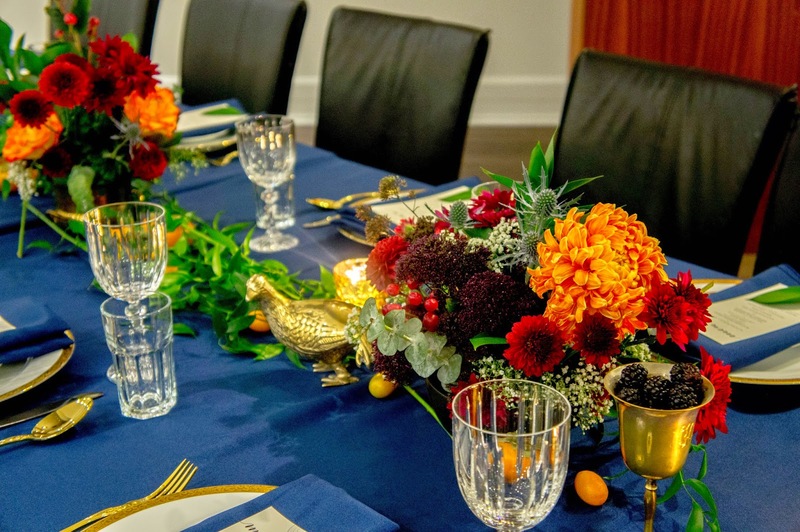 Taking the time to make a beautiful table makes any meal special, whether for one or twenty.